You will not receive any accessories with this sale, UNIT ONLY. They work very hard to get quality products to you quickly. Need accessories?. The TomTom 2505TM receives live traffic updates automatically to give you the most up-to-date traffic information available. See incoming call information, make and answer calls and talk hands-free easily through your TomTom. No sticker for identification is on the bottom of the device but a picture of the settings screen is included. It boasts a slim design, crisp and sharp graphics. Now you can rely on TomTom Fuel Prices to help you always get the lowest prices in your area. Your device couldn't be simpler to use - just plug in and tap the touch screen. 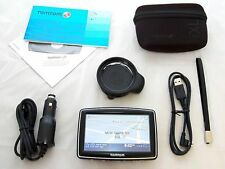 The TomTom Start 25TM. 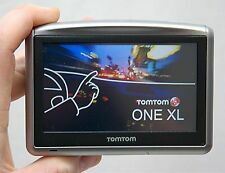 TomTom Start 25TM Features. Travel in style. You receive non-transferable traffic data and up to four non-transferable map data updates per year until the products useful life expires or TomTom no longer receives map or traffic updates from its suppliers, whichever is shorter. New in box. Box was opened but never used. A device will have reached the end of its life when none of these are available any more. Manufacturer TomTom International BV. Form Factor Portable. TRAFFIC INFORMATION. Detailed Traffic Coverage. PRODUCT INFORMATION. It's genius! Vehicle mountActive Docking (active dock NOT included but is capable). Window Suction Mount. Your device sits in a high quality dock that is part of the dashboard. And last, but not least, it looks great. The TomTom Start 25. 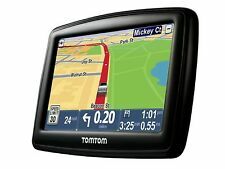 TomTom Start 25 Features. Travel in style. Travel with ease and style throughout the USA. All TomToms are easy to use. 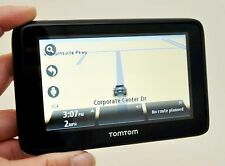 TomTom's intuitive, award-winning user interface features large icons and sharp, full-color 3D graphics. It boasts a slim design, crisp and sharp graphics. Easyport Mount. They work very hard to get quality products to you quickly. Mini-USB Cable. 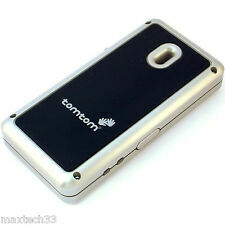 TomTom GO 2535 TM WTE. Plus it has a 5?. The larger 5?. fluid touchscreen on theGO 2535 TM WTE makes it easier and safer to get around. TomTom Box. With a bigger 5?. Keep your hands on the wheel with Bluetooth; hands-free calling: connect your TomTom device via Bluetooth?. The displays and touchscreens function with no issues. All pictures are of the actual item or the actual item in use. Cash is preferred if you are picking up in person.